Fluid Flow Products and its family of companies offer best-in- class compressed air and fluid processing expertise, products and service. Fluid Flow applies its compressed air and fluid management knowledge to every industrial process solution it recommends, and provides the products – and the people – needed to help your operations run more efficiently, safely and sustainably. 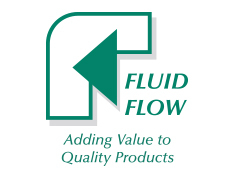 Fluid Flow’s wide product offering includes compressed air and gas, measurement and control, filtration and purification, heating and cooling, and pumping systems.